Would you like to hold your next team off-site meeting, or annual conference in Nashville? LOL, take a number! In 2018, Nashville was the most frequently requested city for meetings by VenueQuest customers. 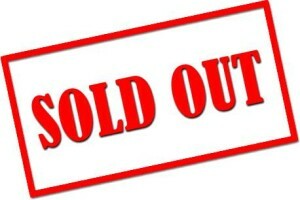 Unfortunately, we often see our customers begin a hotel search with Nashville as their first choice, only to give up and choose a different destination due to high prices, or very limited availability. The other destination where we see this phenomena is Austin, Texas. There are two primary neighborhoods you need to know about, if you are planning a meeting in Nashville. Downtown, Lower Broadway and The Gulch: This area is the most requested section of Nashville. Every hotel in downtown Nashville fits into an area less than 1 square mile, and the bulk of the action and entertainment is along Broadway, and the three blocks paralleling this haven of live music. But, don’t stress about the address of the hotel you choose, because aside from one historic hotel located practically on the railroad tracks, you will not find any conference or meeting oriented hotels actually on Broadway. Midtown and West End: As Broadway extends past the interstate, and splits into Broadway and West End Avenue, you will find yourself in a thriving and exciting neighborhood of hotels, fantastic restaurants, music industry offices and studios, and the grounds of Vanderbilt University. One of VenueQuest’s top recommended hotels in Nashville is in this part of town. We like this area because you can be far enough from the distractions of the honky tonk’s to get serious work done, but you are only a $6.00 Uber ride from the steel guitars, boots and neon of Lower Broadway. I was recently attending IMEX America, a huge annual trade show for meeting and conference planning professionals. My wardrobe was in need of new shoes, so I took the occasion of a big industry event to trot myself out to the mall and got a nice pair of lace-up, leather dress shoes. I wore the shoes for the first time, as I walked into the Las Vegas Convention Center. Three days later, after walking the equivalent distance of Forrest Gump’s coast, to coast, to coast run, I was ready to throw my new shoes into Caesar’s fountains. I wish I had learned this break-in trick before setting out to Las Vegas with my new shoes. Here’s the trick…Put on your regular socks, and then pull on a pair of really thick and heavy socks over those. Next, wrestle your new shoes onto your feet and lace, buckle or zip them up. Now, grab your hair dryer, and spend a few minutes blowing hot air over the parts of the shoe that give you any discomfort. Get it nice and warm so the material stretches from the pressure of those thick socks. Lastly, turn the hair dryer off, but leave the shoes on. Walk around in them for awhile until they return to normal temperature, which is when you can take them off. The whole project should last about twenty minutes. Now that you know how to get out of a tight squeeze with your shoes, let me tell you how to get out of a tight squeeze at work. 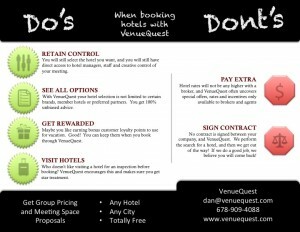 The next time your team needs a hotel for an off-site meeting, or a block of group rate hotel rooms, instead of finding the time to call hotel after hotel, and explain your meeting space and hotel room block needs over and over, you can call VenueQuest once and we will do all that work. You will receive an easy to read, and easy to share report (see a sample right here) which makes selecting your hotel easy. VenueQuest provides a professionally managed, zero cost way to search hotels for meeting space, and group room block pricing. 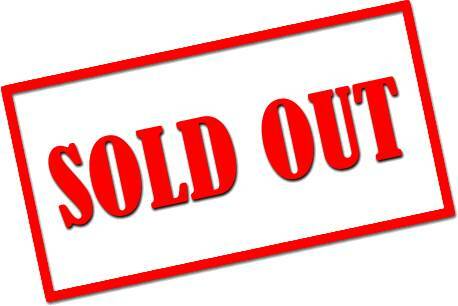 The most com mon misconception we face at VenueQuest, is customers who think our third party hotel booking services are only for large meetings. The truth is, most company meetings are small meetings, and never see more than 35 people in attendance. While we certainly enjoy when a company meeting is big enough to fill an entire hotel, it is the customers who regularly need to find hotels for small meetings who are the bread and butter that keep our lights on and our team working. But this is only the most common misconception which we hear about. During a recent convention, an informal poll of potential customers revealed a few more reasons why some would-be customers thought it would be best to book group hotel rooms and off site meetings on their own. This infographic is your quick guide to understanding where we all stand when working together. Two weeks ago, legendary Atlanta Braves pitcher, John Smoltz, was inducted into the baseball hall of fame. 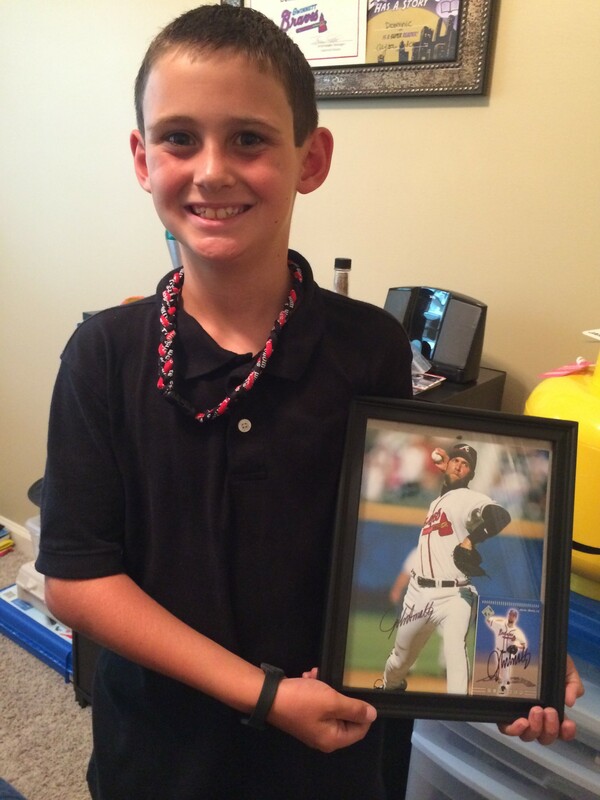 My son, an avid youth baseball player has an autographed picture of Smoltz in his bedroom, but he could care less about the hall of fame. My sons interest in the famous pitcher stems from the barber shop. We live in suburban Atlanta, and about two years ago, my son learned from his barber that John Smoltz comes into the very same shop every two or three weeks to get his hair trimmed. Since then, I have never had a problem convincing my little guy to get a haircut because he thinks there is always a chance he could be in the chair next to Smoltzie. My son, posing with his autographed John Smoltz photo and baseball card. John Smoltz is best known for being part of a trio of high performing pitchers on the Braves roster, which also included Tom Glavine and Greg Maddux. Each pitcher had his particular strengths and by working together, and utilizing each of those strengths, they led the Atlanta Braves to an unprecedented 14 consecutive Division Titles, and a World Series Championship. Now, I don’t think there is a hall of fame for travel consultants, but I do know that the Administrative Professionals, Association Executives, and Corporate Managers who make up our clientele are appreciative, and they find our services useful. Just like the Braves had a team of pitching specialists for different parts of each game, we form a team with our client so that they can focus on the internal agenda and objectives of their meeting, while we focus on negotiating the best hotel and transportation logistics. If you book hotels for more than 10 rooms at a time, and you have not tried our completely free booking service, then you don’t know how easy it is. We have always promoted the fact that VenueQuest hotel booking service was a convenient way for our customers to find and book the most competitive hotel for their needs. Conversations with our customers about which factors were important to them when selecting a hotel for their meetings have revolved around factors such as; convenient location, good price on hotel rooms and recently renovated. But as of early 2015, we are seeing a surge in requests from anxious Executive Assistants who are discovering their go-to hotel is booked, whether that happens to be in San Francisco, Atlanta, or Frankfurt. And so is the hotel next door! This reveals another benefit of VenueQuests booking service which is becoming more relevant as the demand on the travel industry grows more intense every month. That is the fact that we can simultaneously determine the availability of group room rates, and meeting space at every hotel in a given city. After placing your request for group hotel rooms and meeting space with VenueQuest, we promptly solicit your requirement to every hotel that can physically accommodate your needs. Then, we prepare a custom report for you detailing only the offers with guaranteed availability for your dates, and meeting space needs. 2-3 days after your initial request, you will have the information you need to select a hotel for your off-site meeting and proceed with a booking. There is never a fee for this service, and we can assist you with your hotel booking needs in any city or resort worldwide.